Asus Zenfone Max Pro M1 was a runaway success for Asus this year. The smartphone’s global debut was in India and was a huge hit, thanks to the aggressive pricing and the power-packed specifications. Asus has been teasing the successor, Asus Zenfone Max Pro M2 for quite some time now. The smartphone will be unveiled officially at an event in Indonesia on December 11. In the meantime, a lot of rumours were floating about the device online. There were even rumours of a Triple Camera setup on the upcoming Zenfone Max Pro M2 smartphone. Today, a fresh set of press renders of Asus Zenfone Max Pro M2 have been leaked by popular leakster, Ishan Agarwal. Let us see more on Asus Zenfone Max Pro M2 Leaks and Press Renders. According to the leaked press render, Zenfone Max Pro M2 will be powered by Qualcomm Snapdragon 660 Octa Core Processor. It will be coupled with be 4GB RAM and 6GB RAM respectively. When it comes to the internal storage, we can expect up to 64GB of internal storage. 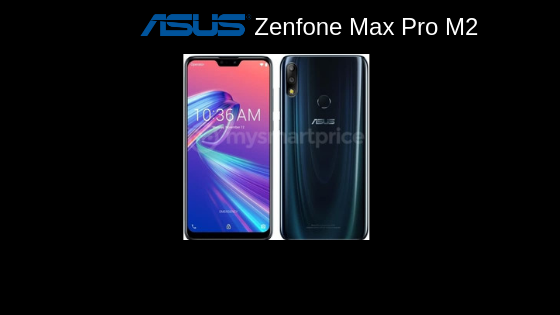 Asus Zenfone Max Pro M2 is expected to sport a 6.26-inch 19:9 FULL HD+ display with a resolution of 1080 X 2280 pixels. The display is slightly larger compared to its predecessor, Zenfone Max Pro M1. There were rumours of a Triple camera setup on the Zenfone Max Pro M2. But going by the latest leaked press renders, this smartphone will sport a Dual Camera set up to the rear. Asus Zenfone Max Pro M2 is expected to sport a Rear 12MP + 5MP Dual Camera setup. The primary sensor will be a Sony IMX486 sensor with f/1.8 aperture, which should help in capturing good quality photos in low light. The front facing camera is expected to be a 13MP sensor with f/2.0 aperture. The battery on Asus Zenfone Max Pro M2 is going to be the same 5000mAh as seen on its predecessor, Max Pro M1. Sadly, there might not be USB Type-C port this time and it will sport the good old Micro USB port. With the more powerful Snapdragon 660 chipset, we can expect some improvements in the battery life. 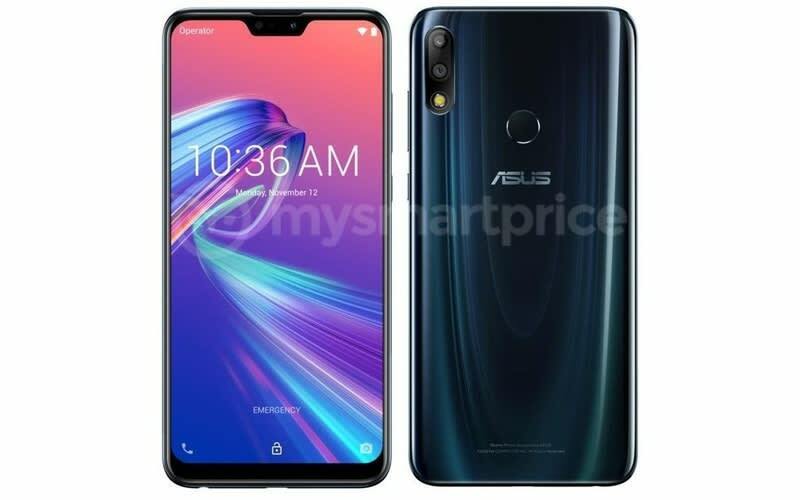 Asus Zenfone Max Pro M2 is expected to be available in two different colour options, Midnight Black and Cosmic Silver.